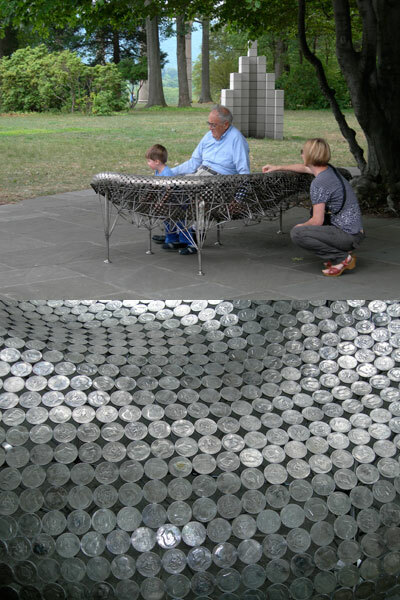 A closer look at this bench enjoyed by visitors revealed it was made of Kennedy half dollars. 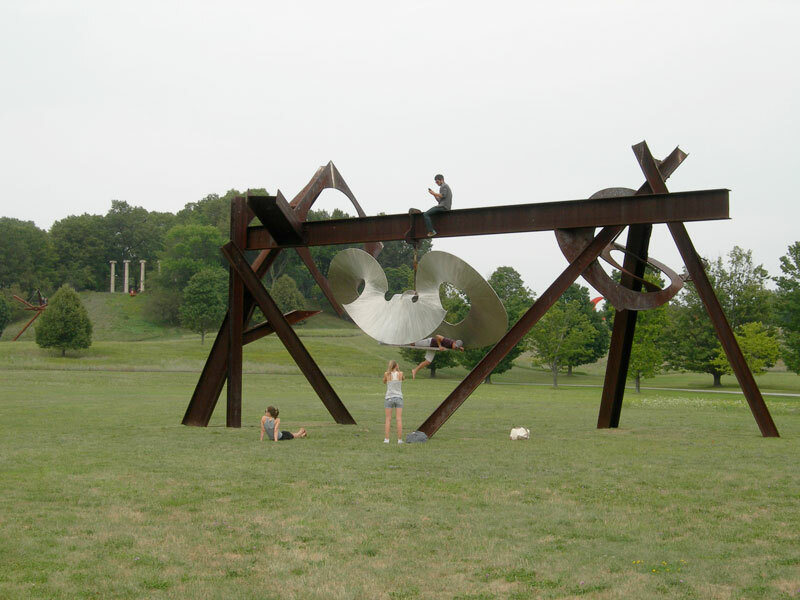 Young adults couldn't resist climbing the whimsical parts of Mark di Suvero's Beethoven’s Quartet, 2003. I recently had the pleasure of walking the grounds at Storm King Art Center in Mountainville, NY. It is a widely recognized 500 acre sculpture park in the Hudson Valley, founded in 1960. Some of the sculptures I especially enjoyed included Mirror Fence, 2003, a work by Alyson Shotz, and the signature large-scale orange painted steel sculpture Jambalaya, 2002-2006 by Mark di Suvero. Also impressive was Menashe Kadishman, Suspended, 1977. The park has ongoing scheduled exhibitions in an indoor museum and new works are installed on the grounds. It is open April though mid-November. 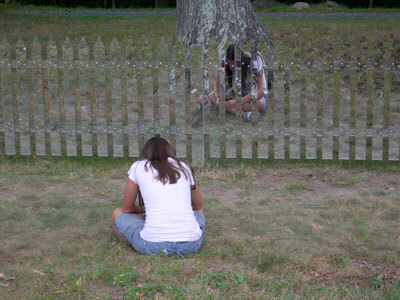 Alyson Shotz, Mirror Fence, 2003. You are currently browsing the Janet Dodrill's Blog blog archives for August, 2010.